Leonard James Marr, schoolmaster and historian, son of Leonard Marr and Elvina Anstice Machon, was born in Les Canichers, St Peter Port, GuernseyG, on 13 April 1918. He died aged 90 in Hornchurch, London Borough of HaveringG, on 29 March 2009. He married first in 1940, Marian Collyer, daughter of Alfred Collyer and Gladys Pocock. Marian was born on 2 March 1917 and died aged 38 on 13 February 1956. He married second in 1957, Constance King. She died in 2005. "Jimmy Marr, who died on 29 March aged 90, was a local historian who combined his passion for historical research with a deep love of his native island in his writings on island topics. Foremost amongst his publications was his History of Guernsey, hailed as the most important book on the Bailiwick since Tupper's history more than a century earlier. Although living in England, in Hornchurch, Jimmy was a frequent visitor to Guernsey, making a pilgrimage at least twice a year. These voyages of re-discovery were planned meticulously, with appointments with friends in the island being made by letter in the weeks preceding each visit. In his more active days Jimmy would trek the length and breadth of the island—indeed all the islands of the Bailiwick—with his friends and fellow local historians, Carel Toms, Victor Coysh, and Stanley Kellett-Smith. He would explore extensively and in the minutest detail, delighting as much in the discovery of a hitherto unseen cattle trough as in the grandeur of the south-coast cliffs. Leonard James Marr was born on 13 April 1918 at the family home in Les Canichers, St Peter Port, the son of Leonard and Elvina (née Machon) Marr. He was brought up in Guernsey and, in his short book, Guernsey Between the Wars: An Islander Recalls his Youth, he has left us a delightfully affectionate account of the Guernsey of his boyhood, his love of the island shining through each of his reminiscences. A grandfather, Alfred Machon, was an antique dealer and cabinet maker, having premises in Le Pollet (now Machon's, the jewellers), and a great-grandfather, William Le Poidevin, established the grocery shop at 26 Cornet Street, now restored and preserved by the National Trust of Guernsey. Jimmy was educated at the Intermediate School and Les Vauxbelets College before going up to the College of St Mark and St John in London, subsequently graduating with honours in economics and political science. Jimmy was forever grateful for the strict but compassionate and loving boarding atmosphere of Les Vauxbelets, his schooling there having a profound influence on his Christian beliefs. During his time there he saw the building of the Little Chapel. In later years, he remained friends with Brother Christantian and Father Chauvel. The beginnings of Jimmy's teaching career, at St Sampson's School in the late 1930s, were interrupted by the outbreak of war. He joined the British Army at the Town Arsenal at the first opportunity, returning to Guernsey in 1940 on special leave to persuade his mother to go to England. They left on one of the last boats to leave the island. He subsequently served in France, North Africa, Italy and Austria. After the war, he became a schoolmaster at Hackney Downs, a London school founded by the Grocers' Company, heading the department specialising in his subjects, and simultaneously taking history. Ex-pupils remember "Mr Marr" as an inspiring teacher, a man of intellect, having a phenomenal memory. Himself a perfect gentleman, he afforded sixth-formers the courtesy title "Mr", considering those who stayed on at school to be deserving of such respect. One such sixth-former remembers his final year report from Mr Marr, "He argues—a good sign." He retired from teaching in 1978 and set to work on researching and writing his Guernsey history. Jimmy Marr was an enthusiastic supporter of The Guernsey Society, the organisation founded in London in 1943 to enable islanders to maintain contact with each other during their exile. Living, as he did, away from his native isle, he was immensely proud of his roots, giving talks on Guernsey's history to members of the Society, and writing numerous articles for The Review until within a few months of his death. He was elected to the Society's Council in April 1980 and two years later took on the duties of public relations officer and auditor. In 1988 he became honorary editor of The Review, a post he held until May 1993. In May 2005 he was elected vice-president in recognition of the contribution he had made to the Society over the years. Jimmy's articles in The Review and elsewhere were researched with meticulous care and related with great enthusiasm—both in the written version and in the telling of it to his friends over a pint. His historian's eye having alighted upon a previously unseen aspect of a medieval event, he would describe the discovery with all the urgency of an event happening right now. This enthusiasm for his subject could at times spill over into boyish glee if he discovered an historical inaccuracy in some supposedly learned tome. But Jimmy's love of history was not confined to long-gone times. He regarded history as the study of events right up to yesterday morning. It was fascinating to observe his working on the revision of his History of Guernsey as he judged with unerring accuracy which current events were of historical significance and which could be disregarded. Jimmy was, by turns, an anachronism and a man of his time. The scholarly, sometimes old-fashioned and pedantic Jimmy, fought a rearguard action for decades in defence of his preferred spelling "shew" when the rest of world had long ago changed to "show"—and he never did drop the hyphen in "St Peter-Port"! Jimmy, the man of his time, could be relied upon to express a trenchant view on topics of the day, his opinions always reflecting a firm grasp of human nature as well as drawing on his extensive knowledge of history, economics, and politics. Sometimes these opinions found their way into the columns of the letters page in the Guernsey Press. More often they were the stuff of delightfully entertaining conversation with friends. There was at times a certain poignancy about Jimmy's visits to Guernsey. He had left his native island when called to serve King and Country, and had subsequently pursued a successful and fulfilling teaching career on the mainland. But there was no mistaking where his heart lay. Rather like G B Edwards, author of The Book of Ebenezer Le Page, there was a sense that Jimmy was living in exile from his true home. Jimmy was a devout Anglo-Catholic, attending St James Garlickhythe in the City of London, and latterly when unable to travel, St Mary Magdalene in Ockendon. When in Guernsey, he worshipped at St Stephen's Church. Jimmy was a devoted, loving, and friendly father and grandfather, speaking his mind if he disapproved, but always unquestioningly supportive, interested, and ready to help. He was a man who always had lots to do: researching, writing, campaigning on issues he felt passionate about. Jimmy Marr married first, in 1940, Marian Collyer, with whom he had a daughter, Rebecca, now living in Ealing, London, with her husband, Iain Paul, a solicitor, and their sons, Alexander and William. Marian died in 1956. Jimmy married second, in 1957, Constance King, who died in 2005. 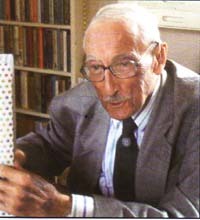 Jimmy Marr's books on historical aspects of Guernsey include: The History of Guernsey – The Bailiwick's Story; Guernsey People; More People in Guernsey's Story; Bailiwick Bastions; Bailiwick Harbours and Landing Places; and Guernsey Between the Wars – An Islander Recalls his Youth. He also wrote a fictional trilogy, Two Men and a Woman, set in the island."